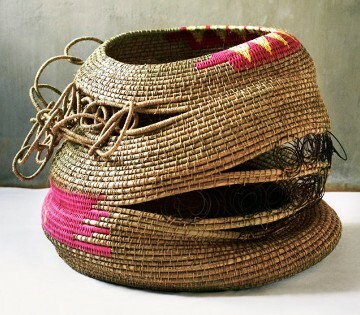 Contemporary African baskets have achieved their own artistic merit and can stand on their own as art forms. They offer exciting, innovative looks; new materials and new shapes and exhibit a freedom of design and crafting that is not hampered by having to make sure that their function is of primary importance. 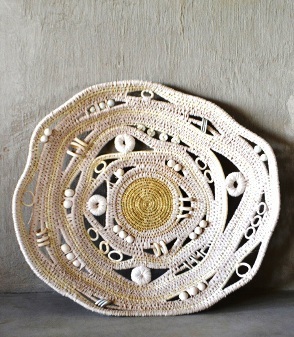 Beauty Nxgongo of Zululand, Natal is internationally known for her distinctive creations which blur the line between fine art and craft. Her designs are strong and graphic and her forms elegant and structural at the same time. The shapes are masterful and the colours, although obtained from natural sources, are vibrant and contrasting so the pattern is easily observed. In recent years, designers and co-operatives have worked together on common projects to produce some extraordinary results. 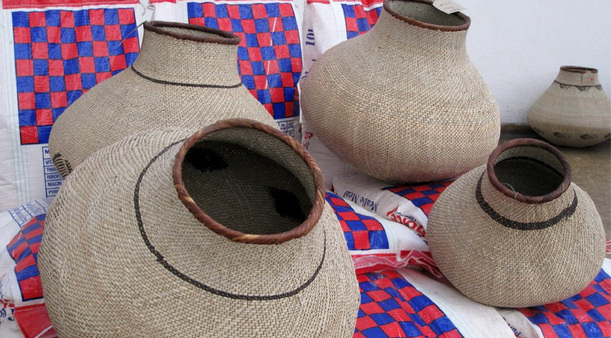 Recognizing that the craft of basket making provides for some exciting creativity, communities in rural areas have been approached and guided to produce work that has made its way to far off lands, to museums and art collections where the skill of the task is admired and applauded. 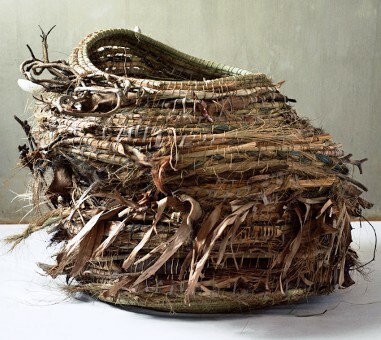 One such project is the New Basket Workshop. 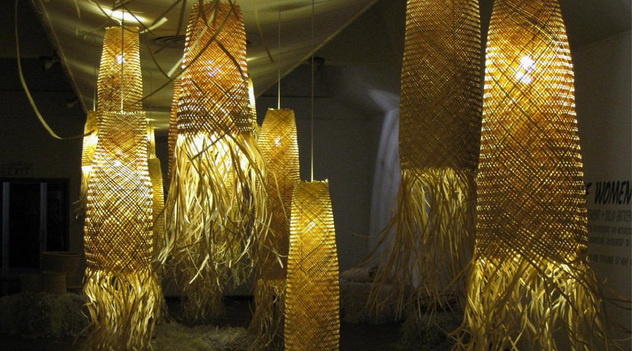 Consider feathery, translucent, cross hatched basket lights in a cascade, tendrils of straw hanging down and all of it creating a forest-like atmosphere. 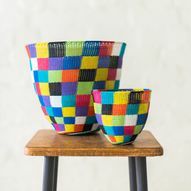 These are the product of collaboration between Heath Nash, a lighting and creative designer from South Africa and the New Basket Workshop which is dedicated to improving the lives of rural women in Southern Africa. 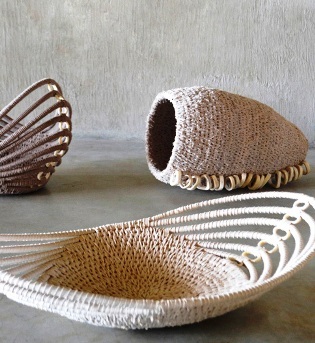 Other products that emerged from working with the Tonga women in the rural district of Binga, Zimbabwe included woven basket tables, large bowls and organic, amorphous shaped baskets that almost achieve a sculptural basis. 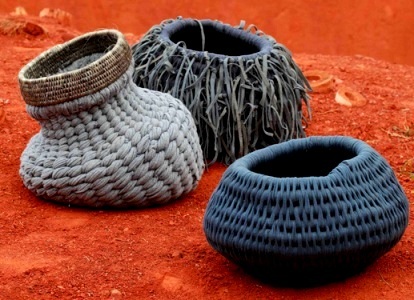 In direct contrast to the natural textures and amorphic shapes of these baskets above are the fabulously innovative telephone wire baskets from South Africa that are demanding international consideration. 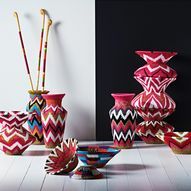 Traditional African weaving techniques plus contemporary design creates functional art. 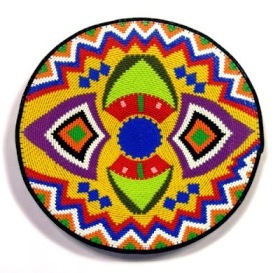 Since the early 1990’s they have been developing into a uniquely African artistic expression and these days include figurative designs often commemorating important events in SA history. 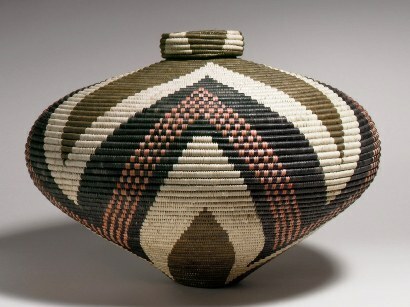 This, in itself, is unusual; designs have previously been adapted from historical containers like stitched snuff bottles and decorated gourds and are more geometric or include spiral patterns. 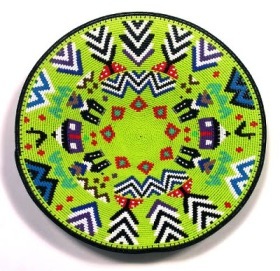 In their most sophisticated contemporary form they demand recognition of the crafts person as an individual artist. 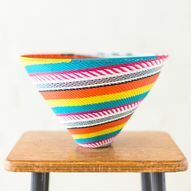 Gone Rural, whose team leader Philippa Thorne came from St Martins School of Design, London to assist the female weavers of Swaziland and two other companies Design Network Africa (Danish) and Source (South African). 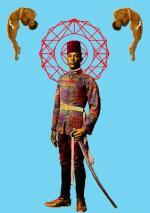 Some of their most contemporary work can be seen below.